EVENTS: Wedding ceremonies, Cocktail hour, Receptions, Corporate events, Cultural events, etc. If you are looking for an innovative musical experience unmatched west of Spain and south of NYC, you have found it. Whether it be for your wedding ceremony, cocktail hour, reception, corporate or cultural event, he will impress your guests. 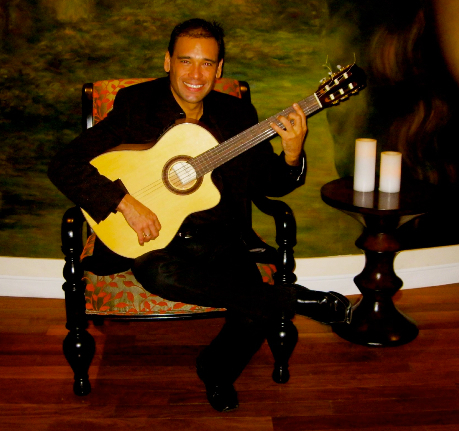 He is an extremely talented guitarist, born on the Caribbean coastal town of Ponce, Puerto Rico. His unique sound is a fusion of Flamenco, Salsa and Guaracha but has the improvisational qualities of jazz. 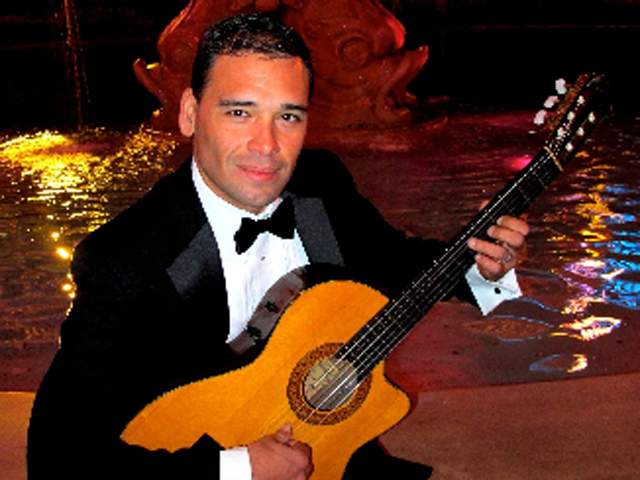 Within his ample repertoire you will find Flamenco, Jazz standards, Bossa Nova, Rumba, Salsa, Guaracha, Bolero, Mambo, Merengue, Bomba y Plena, Cumbia and Cuban Son. As if his guitar playing were not enough, he also belts out Spanish vocals when the occasion presents itself. 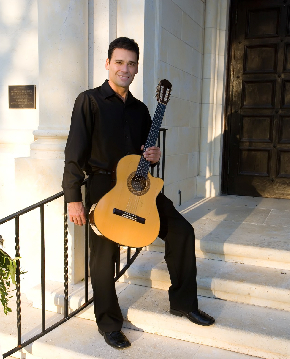 He is an artist who has crafted his music to such a degree that he has become the premiere, first call guitarist in Central Florida.